Located in Lowndes county, Valdosta is a veritable boom-town right, with new buildings and businesses popping up like daisies and growth that attracts more investors everyday. If you feel the southern Georgia area would make a good place for your next business deal, call to speak with one of our jet charter representatives to receive a quote on your next private charter flight to (VLD) Valdosta Regional Airport. Georgia Jet Charter believes in providing private flyers with a one-on-one consultative service experience that exceeds every expectation. We understand that your time, privacy, flight preferences and most of all, safety, are all extremely important. Our Valdosta Jet Charter representatives are available for you by phone and email 24 hours a day, 7 days a week. When using our private aviation service, you can expect quick response times and an easy, hassle-free booking process. Request a quote or call us to arrange your private flight to Valdosta, Georgia. 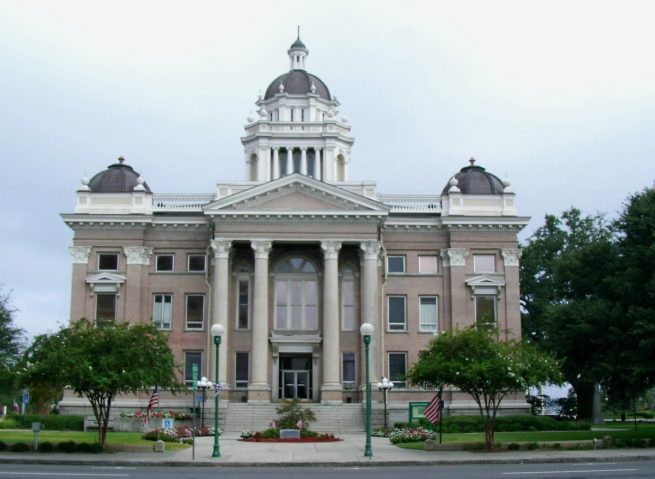 Valdosta has become a major draw for investment, industry, and general business in the American South. Now, private jet charter clients have plenty of options when it comes to decadent lodging, gourmet food, and exciting nightlife. Among the nicest hotels in the city are two 4-star hotels; Holiday Inn Valdosta Conference Center and Quality Inn South are both highly recommended by our clients and by online reviews. Aside from those, the following list contains the hotel options from the area that we feel would best suit our clientele. Valdosta is waiting, so contact us anytime and we’ll be happy to help you plan your private flight to Valdosta, Georgia. Having been primarily a residential town since its incorporation as a Georgian city, the city has rallied around Valdosta State University and now has more bars and nightlife options than ever before. Head over to the neon sign-lit downtown area and peruse the bevy of interesting craft beer and artisan cocktail bars. If drinking while surrounded by a swarm of college students isn’t your idea of a good time, then spend your days checking out the local nature preserves, museums, and world-class golf courses. A morning tee-off time out on the green hills of Stone Creek Golf Club is coveted by both the Valdosta locals and travelers there on business or pleasure. Not much of a golfer? You need not worry because the Lowndes County Historical Society and Museum is on of the South’s premier academic destinations, and has exhibits that will excite even the most jaded history buffs. Check out more of our recommendations after your private flight to Valdosta, Georgia. Georgia Jet Charter utilizes the following airport to fly clients privately to/from Valdosta, Georgia and neighboring areas. Request a Quote or give us a call at 1-888-987-5387 to speak with one of our Valdosta Private Jet Charter service brokers for your next luxury vacation, business trip, or special event.